UAE-based Bloom Properties, a specialist in the development of integrated and sustainable communities, has confirmed that work is progressing at a steady pace on several of its projects located across Dubai and Abu Dhabi, which are on track for scheduled delivery. CEO Sameh Muhtadi said: "Bloom is keen to provide its local and international investors with regular updates on the ongoing construction activities across its diverse range of developments in Abu Dhabi and Dubai. This demonstrates Bloom’s continued commitment to transparency and retaining the trust of our investors." "All our ongoing developments are on track to be completed on schedule, and we are working closely with our contractors to ensure delivery to the highest quality standards," he added. 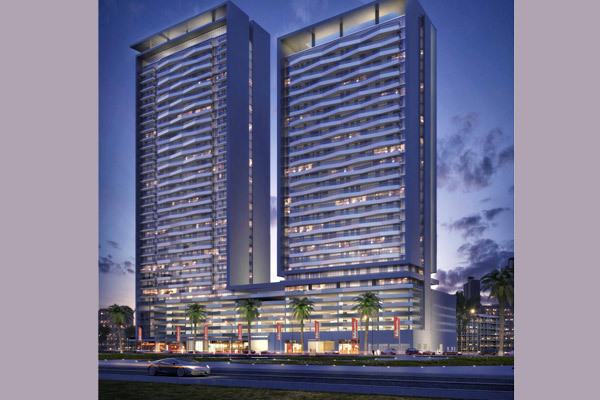 The Abu Dhabi developer said the main works of Bloom Heights and Bloom Towers are progressing steadily, and the developments are scheduled for handover in the first quarter and third quarter of 2020 respectively. Ideally located in the popular master community of JVC, Bloom Heights will comprise 686 residential units ranging from studios to three-bedroom apartments. Its other project, Bloom Towers will feature three towers with a total of 944 residential units including 255 units within a new building. These units range from studios to three-bedroom apartments with a timeless elegant design. Bloom has also commenced the main construction of its flagship Stella Maris development. Taking shape at the vibrant neighbourhood of Dubai Marina, the development will comprise 313 high-end residences ranging from one- to three-bedroom units, as well as four-bedroom duplex apartments and penthouses. In parallel, work is under way on Bloom’s mixed-use developments in Saadiyat in Abu Dhabi, with Park View on track for handover by the year-end. The project will comprise a residential and a hotel apartment building, featuring design and architectural elements integral to urban upscale living. The residential building will consist of 207 units ranging from studios to two-bedroom apartments, whereas the hospitality component includes 217 furnished and serviced hotel apartments comprising studios as well as one- and two-bedroom executive apartments. The show apartment is now ready to welcome visitors. According to Bloom, the main construction of Soho Square, another development in Saadiyat, is in full swing, and the development is set for completion in the first quarter next year. Soho Square will feature 302 upscale residences ranging from studios to three-bedroom apartments, townhouses and a penthouse. Both Park View and Soho Square offer proximity to the New York University Abu Dhabi campus and major upcoming tourist attractions. Furthermore, the UAE developer is gearing up for the launch of Abu Dhabi’s first-ever Edition hotel at Bloom Marina, scheduled for completion in the fourth quarter. The property will operate under the Edition brand – the latest name among boutique hotels, created by renowned American hotelier and real estate developer Ian Schrager in partnership with Marriott International. Earlier, Bloom opened its new school campus in Al Barsha South in Dubai with a total enrolment capacity of 4,000 students. The new facility welcomed its first cohort of students in September 2018.